Mississauga, ON - Atalanta Corporation came home with three awards from this year's American Cheese Society (ACS) Conference. The 31st annual conference, held this year in Sacramento, California, showcased several of Atalanta's exclusive award-winning producers. Regarded as one of the most prestigious cheese events of the year, the conference boasted its largest number of entries, with over 260 companies submitting nearly 1,900 products. Mariposa Dairy and their artisanal cheese line, Lenberg Farms, once again took top honors in the Sheep's Milk Cheese Aged Over 60 Days category for their Tania Sheep's Milk Cheese for the second year in a row. 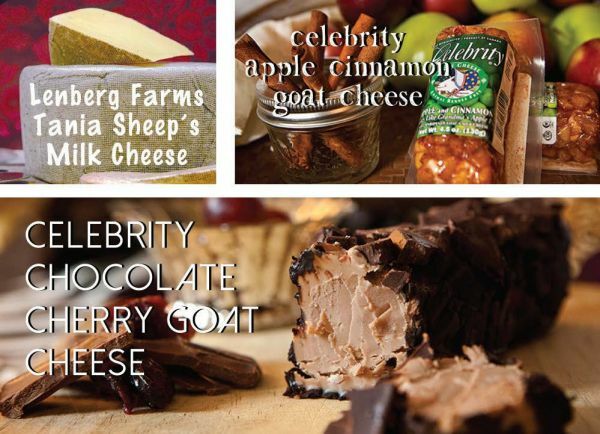 The popular line of Celebrity Goat Cheeses, also sourced from the Mariposa Dairy claimed another win, acquiring both first and second place in the Fresh Goat Cheese with Flavor Added (100% Goat's Milk) category, for the Apple Cinnamon Goat Cheese and Chocolate Cherry Goat Cheese, respectively. Founded in 1983 to support the artisan and specialty cheese industry, the ACS is a non-profit organization that promotes product education, development and opportunities to manufacturers, suppliers and distributors within the cheese industry. For more information on all of our winners, please visit www.cheesesociety.org. For more information about Finica, please visit www.finica.com.